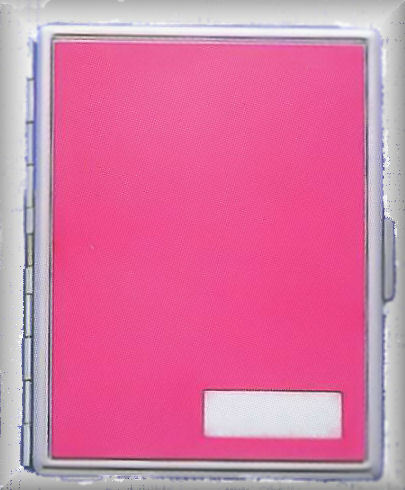 This pink cigarette case has as simple and stylish design with a nice two tone polished and brushed finish that really stands out. There is space in the corner of the cigarette holder for an engravement. Our engraved cigar holders and engraved cigarette cases will keep your smokes in perfect condition while maintaining a look of sophistication and class. These stainless steel and high polished silver cigarette cases can all be engraved with initials or names. There are many font styles & logos to personalize your engraved gift with. Add one of A & L Engraving's many zippo lighters to your cigarette case order for a great gift combination.